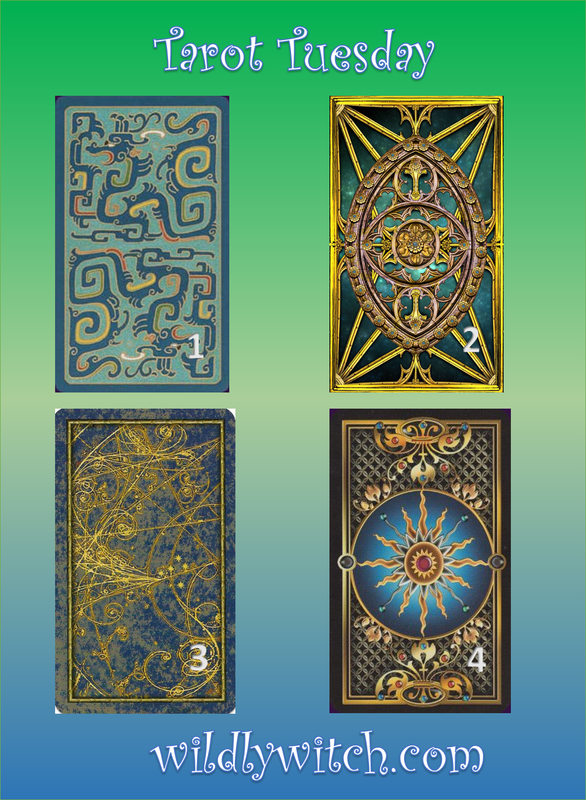 It's Tarot Tuesday and here is the Big Reveal! 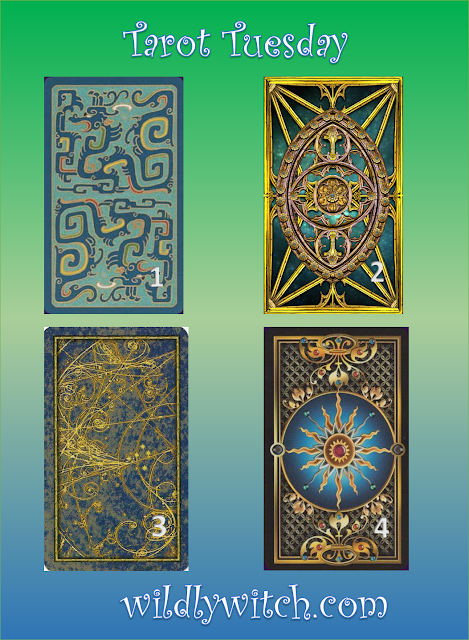 If you haven't done so on the Facebook page, please take a moment to choose the card # that speaks most to you. Once you've chosen, see below for your answer. Are you about to make a bold move? Has a project assigned to you been executed with an impressive new approach? Are you thinking outside the box and getting noticed at school or on the job? Has a creative inspiration caused you to get to work on your masterpiece? Is a solution to customer problems inspiring you to start your own business? The Knight of Wands would likely show up in your Tarot reading under such circumstances, as it is the card of sudden solutions arriving in a flurry of inspiration. 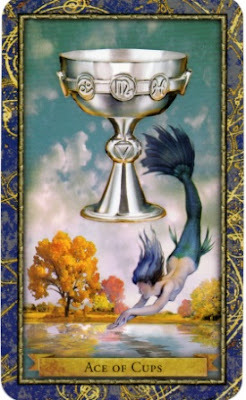 When you have found an emotional plateau, you will see the Ace of Cups in your Tarot reading. This card represents the culmination of a sacrifice that has been rewarded with satisfaction, contentment and a deep, lasting peace. 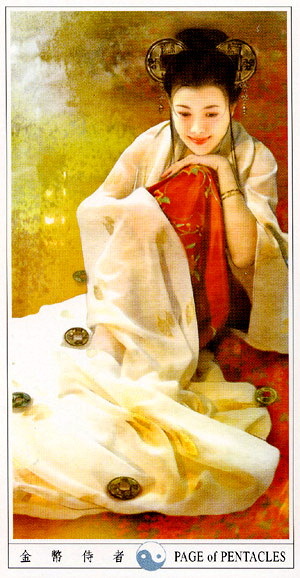 This is the Tarot deck's card of true love and it would be hard to imagine a soulmate Tarot reading without the presence of the Ace of Cups. When the Tarot spread reveals the Ace of Cups in the present position, you are probably getting the reading because of a new love interest in your life. Perhaps you have a strong intuition that "the one" is near. A certain lack of anxiety will bring you a sense of happiness when this card arrives in the present position. This can also signify a promotion and/or new, good job headed your way. If you are already employed you should know that both you and your work are appreciated and valued - and you should see signs of this soon. If you are unemployed (or looking for a new job) then you need to keep looking for new opportunities. They are out there - all you have to do is find them. Are the details of life dragging you down? Are finances and possessions overtaking your consciousness? Is there a new person in your life who flaunts his or her wealth but is incapable of sharing any of it? 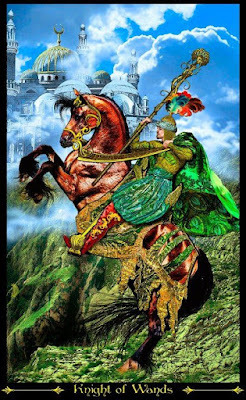 All of this dull weight of the material world will be revealed when one of the heaviest Tarot cards in the deck is overturned in your reading: The Knight of Pentacles. 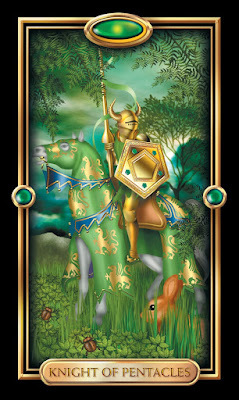 In the present position, the Knight of Pentacles signals that you may be bored amidst all of your contentment. There is a tendency to not appreciate the things that keep us comfortable. The Knight is on a black horse, showing that we lose sight of appreciating a person who is providing for us. Is a generous man taking care of you while you flirt with or fantasize about other possible lovers? The combination of boredom and material comfort that the Knight of Pentacles provides is a recipe for a restless mind and spirit to find trouble. The Knight tells us to pay attention to the mundane and normal parts of our lives. A wise man once said, "Take care of the little things, and the big things will all fall into place." 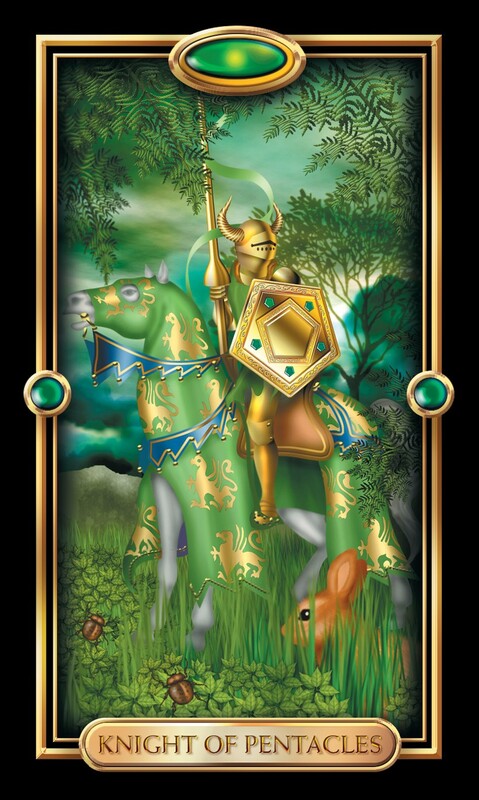 The Knight of Pentacles asks you to look at how you are handling your affairs, and is a grounding influence. How did you do? Are you becoming more accurate in your choices? How can I help? As always, the best conversations are found on the Facebook page. Come on over and visit, or leave me a comment here or in private message. I look forward to receiving your feedback!